CML Starter Kit - Save $200.00 in Postage! 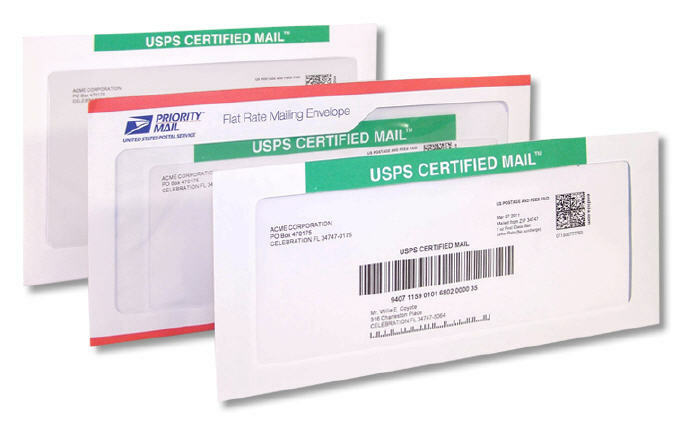 This is a full-face window security envelope which accommodates for the PC Postage mark in the upper right corner to be visible. Use www.CertifiedMailLabels.com to generate a this type of Certified Mail address insert. Copyright Certified Mail Envelopes, INC. All Rights Reserved. eCommerce Software by 3dcart.